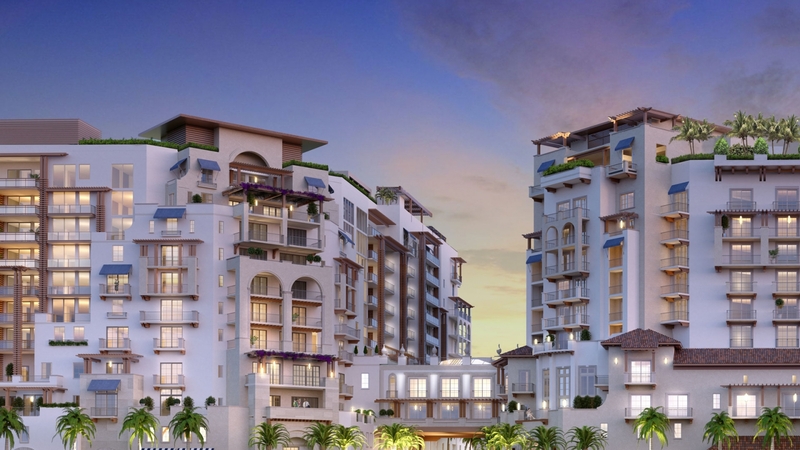 Introducing Via Mizner, a world-class destination located in the heart of an internationally recognized community. 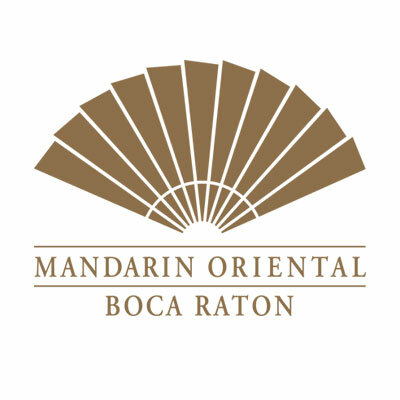 At Via Mizner, residents and their guests enjoy an urban resort experience, where the elegance and grace of Boca Raton is enhanced by the exceptional service and personalized attention of Mandarin Oriental. 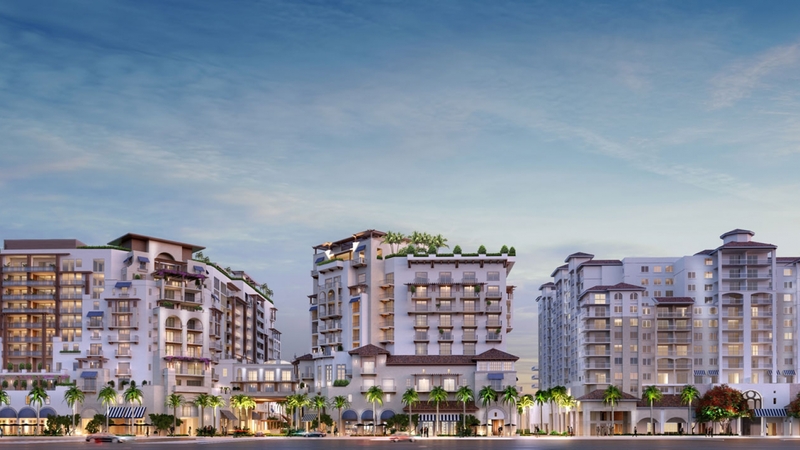 Via Mizner offers an unprecedented lifestyle where the finest shopping, dining, private club and resort-style amenities are steps from your front door. 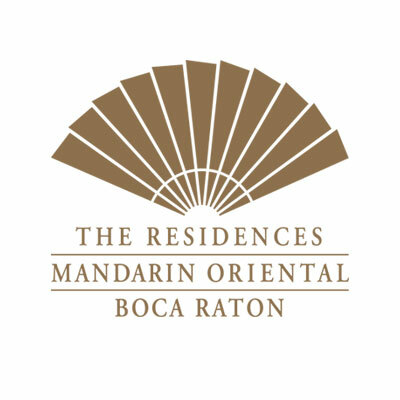 As one of only nine select locations in the world bearing the Mandarin Oriental marque, and a limited collection of ninety-two private homes, The Residences at Mandarin Oriental, Boca Raton is truly a signature address. Sleek, contemporary details and the most ultramodern amenities are framed by panoramic ocean and golf course views. Resident-only amenities include a rooftop pool with private cabanas, wine cellar with private tasting room, clubroom, private gardens and a resident lobby lounge. With preferred access to all the outstanding amenities of Mandarin Oriental, residents experience the utmost privacy and enjoy the ample benefits without leaving the comfort of home. Mandarin Oriental, Boca Raton brings the legendary reputation for impeccable hospitality and service, as one of only seven Mandarin Oriental Hotels in the United States. This destination offers 164 well-appointed rooms and suites, all with magnificent ocean, golf course or city views. Known throughout the world for their legendary attention to detail and exquisite personal service, the hotel features two rooftop resort-style pools, holistic spa services, a state-of-the-art athletic club, and superb dining venues found only in select locations around the world. 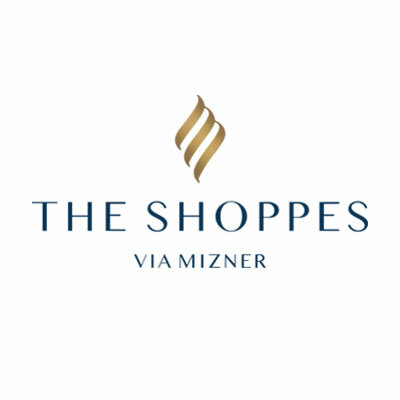 Designed to satisfy the day-to-day needs of residents, and yet offer so much more, The Shoppes at Via Mizner is an elegant urban destination where everyday life can be complemented by the excitement and envy of a shopping and dining venue unmatched in South Florida. 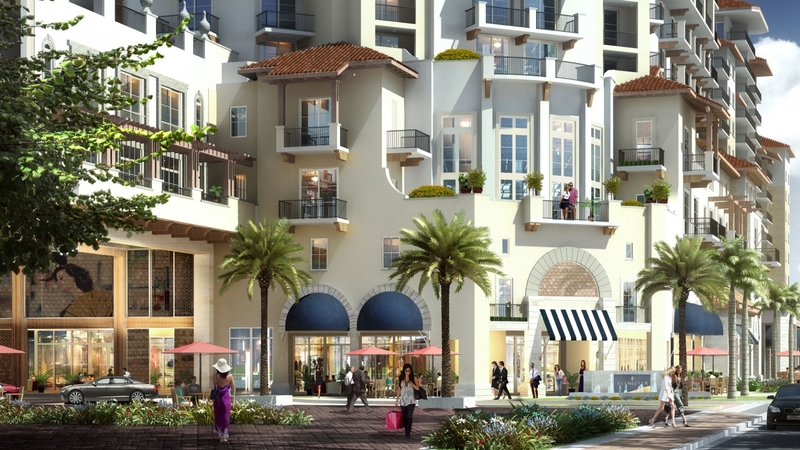 Envisioned as a landmark for taste and style, The Shoppes at Via Mizner features an exclusive mix of elite brand names, quality design labels, artisan boutiques, and sophisticated dining and nightlife. 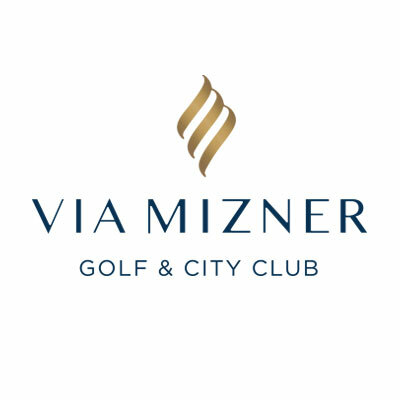 Via Mizner Golf & City Club offers residents two distinct venues to deliver the most coveted private club experience. 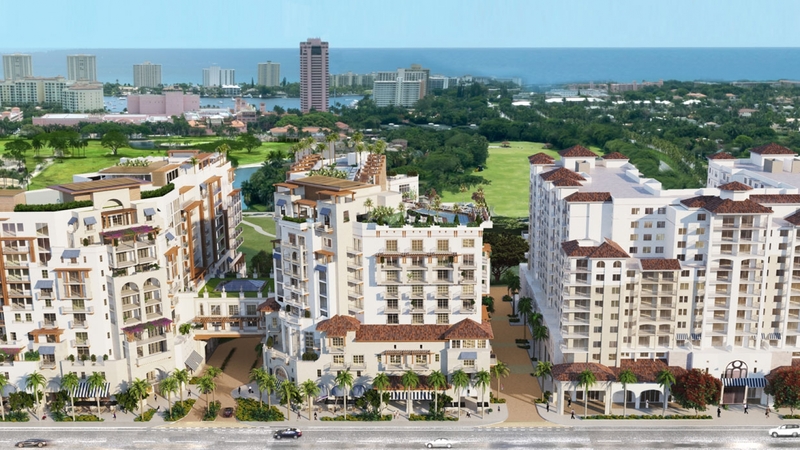 The Golf Club, located just five minutes from your door, features a brand new championship course designed by Jack Nicklaus, as well as Har-Tru tennis courts, fitness center, resort-style pool, children’s playground, and world-class dining. The City Club, located within the new Mandarin Oriental, Boca Raton, offers a member-only clubroom and lounge, private dining rooms, interactive kitchen, wine tasting areas, and kid’s club. Membership also affords residents preferred access to all of the hotel amenities, including its holistic spa and state-of-the-art fitness center. 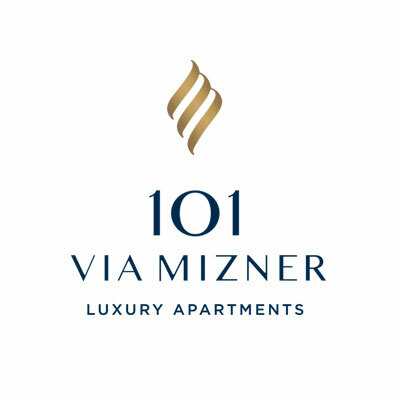 The luxury offerings at Via Mizner are enhanced by 101 Via Mizner, Boca Raton’s premier apartment tower. Affluent residents are both seasonal and year-round, and have chosen to “rent” the exceptional lifestyle found only at Via Mizner. Apartments are inviting and spacious, with high ceilings, open floor plans and oversized walk-in closets. Interior finishes and features are just as thoughtfully considered with custom two-tone European cabinetry and sleek quartz countertops throughout. Stainless steel appliances, imported Calacatta porcelain floors, upgraded lighting and elegant hardware create a home that is noticeably upscale, yet endlessly comfortable. On-site amenities available only to residents include a state-of-the-art fitness center, café, spacious clubroom, a resort-style pool with cabanas and a sky lounge featuring ocean, city, and golf course views.